Embrace your inner sci-fi geek and stand a chance to win Valerian and the City of a Thousand Planets merchandise! Like & share this post and answer the two questions below for a chance to win! Tag five friends to increase your chances. 1. Name TWO (2) other Sci-Fi movies that Luc Besson directed. 2. Name THREE (3) cast members and the roles they play in the movie. 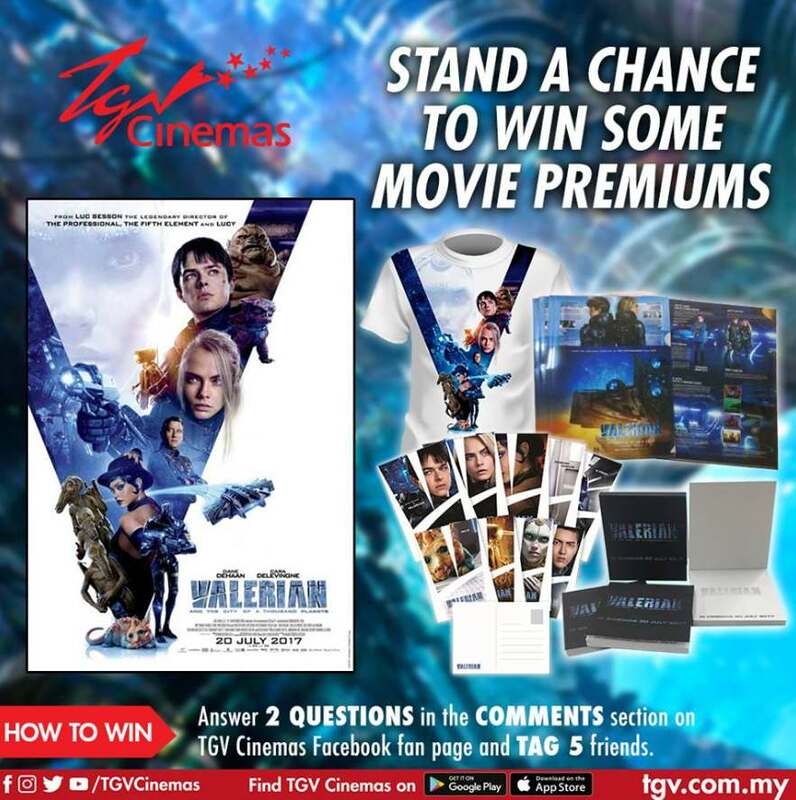 Find out more at TGV Cinemas.